In an effort to make airlines more attractive to travelers, many are focusing on improved in-flight experiences. Technology is playing a role in this as we move more and more towards a data rich world. Yet, as data becomes more widely used across this specific indutry, comes concerns about the data airlines collect and store about their passengers. From the moment you book your flight, airlines are gathering information about you and your travel habits. So how much information is too much? When a flight attendant that you have never met can state your favorite drink, it makes your experience on the flight just a little bit more pleasant. Yet, this also raises concerns about privacy. Just how much does your airline know about you when you book? Do you really want them to have this much information? Here’s a closer look at how airlines are using personal information and what it may mean for the future. 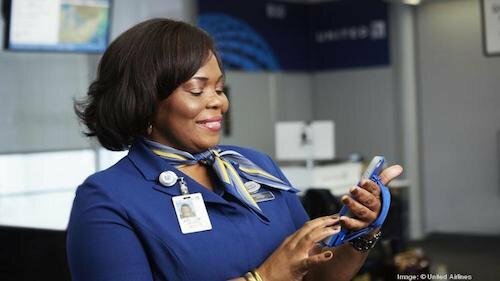 One example of airlines using passenger information is a new app that United Airlines gave to its flight attendants in early 2018. 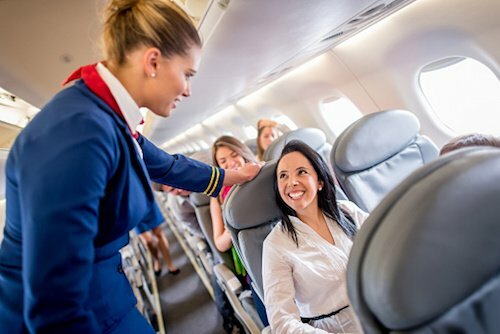 Flight attendants now have information about passengers at each seat on the plane. The information includes data about the passenger’s last five flights, with indicators for problems they faced, such as delayed takeoffs or missed connections. United hopes that the flight attendants can use this last flight information to make the most recent flight a pleasant one, hopefully eliminating repeat problems and making up for past issues. The app also offers personal information about the passengers, such as birthdays, and stores information about passenger flight connections, so flight attendants can help their passengers get off of the plane in time to make the connection. United also has a passenger-facing app. This one helps passengers in the airport, directing them to their gate, helping them choose in-flight entertainment and even assisting with connections for later flights. While helpful, the passenger-facing app does gather personal information, and some passengers are not happy about it. United is not the only airline dabbling in using information to improve passenger experiences. Other airlines are tapping into the same technology, mining data about passengers to help make flights more pleasant. Sometimes the airlines have technology that gives them instant information about how much you paid for your ticket and whether or not you paid for premium upgrades. They may be able to store data about your drink and menu orders if you are a frequent flyer. JetBlue, as an example, has given its flight attendants virtual reality images of who is on the plane, as well as a seat map with icons indicating important information, such as birthdays, to help improve interactions with the passengers. Delta has also dabbled in this technology, offering SkyPro to its flight attendants. SkyPro keeps track of basic customer information, so staff can offer an apology for delayed flights or “thank you” for reaching traveling milestones with the airline. SkyPro even allows flight attendants to award vouchers or travel miles if they make a mistake on the flight. American Airlines Group, the largest carrier in the world, is using an app called iSolve. 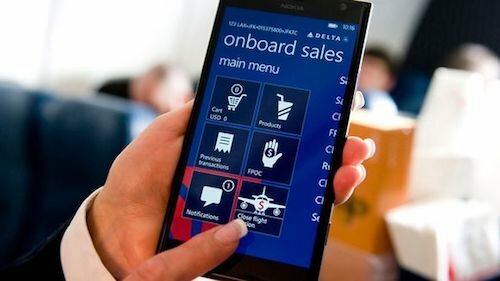 It offers similar information as the SkyPro app, allowing flight attendants to personalize their interactions with passengers. British Airways has been using iPads with passenger information since 2011. 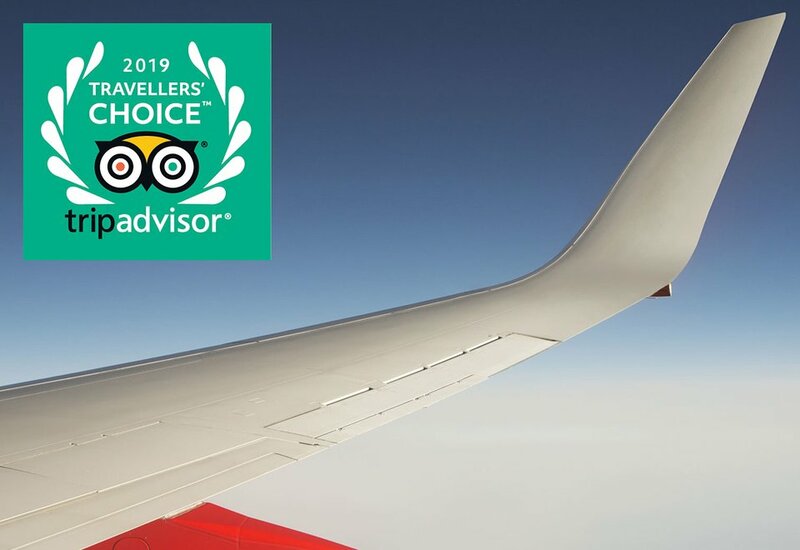 Specifically, the iPads are used to recognize high-tier customers and provide the airline with a heads up about problems that occurred on the flight, so the airline can make amends once the plane lands. Of course, this type of technology would also open the door to flagging “problem” passengers, such as those who regularly complain or are routinely argumentative. United and other airlines claim they are not using these apps in this way, but the potential is there. Regardless, it’s clear that the majority of airlines are gathering information about their passengers, and many are starting to use that information to enhance the customer experience. Passengers need to be aware of this fact and how it impacts their flight plans. Knowing that your favorite airline is using personal information may feel invasive, but it’s nothing new. Many companies, including your favorite social media pages, mine personal information to better target the information they share and the advertisements they provide. Even retail stores are using this information, sending texts to loyal customers offering discounts on products they regularly buy. Hotels have been doing this for a while, and you may not have even known it. By delivering personalized service to frequent guests, hotels are able to retain their travelers longer. Airlines may be slow to the game, but they are not doing anything new. Yet knowing that many companies are doing it does not make it easier to stomach for some airline passengers. This level of personalization has both pros and cons. On the positive side, when airlines know things like your tight connection or the reason you are traveling, they can help you. If your connection is tight, the attendant can steer you in the right direction to make it on time. If you had a bad experience on your last flight, the gate agent can offer an in-person apology. If you fly frequently and have a preferred drink, your airline will know it and make sure your flight is well stocked. All of these will help make your overall flight experience more pleasant. For the airline, making passengers feel special and attended to will help keep passengers flying with them, rather than the competition. These tools allow airlines to make their passengers feel good, and that almost always translates into more tickets sold. Adding technology to the airline experience makes an airline seem more relevant in the modern, tech-heavy world. The first potential drawback of this level of personalization is the fact that it makes some passengers feel uneasy. If you were on board a flight and a flight attendant greeted you, then asked how your family reunion was, would you feel like you were receiving personal attention, or would you feel just a little like you had been stalked? The answer will vary depending on your personal preferences. If you are among those who find it just a little creepy when the airline knows details about you and your habits, you are not alone. In a recent survey, 75 percent of consumers said they found personalized brand experiences creepy. Yet, only 22 percent indicated they would not work with the company because it used this level of personalization. It's clear people do not like this type of data use, yet few are willing to make changes because of it. 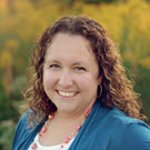 So how much information is too much? The answer is not cut and dried. While some airlines are locking down these apps to prevent staff from having access to too much information, the fact remains that they have the information available to them. It may only be a matter of time before they start using it to improve the airline experience for passengers. For some, the positives outweigh the negatives. Feeling important while on a flight with a few hundred other people is a great perk. Yet some airlines fear that passengers will be uncomfortable with the information. For example, if a flight attendant greets a passenger by telling them happy birthday, the passenger may find himself wondering what other information the airline has. This may cause him to not purchase a particular drink or movie for fear that the information will be recorded. So is using data to personalize flights a good thing or a bad thing? The answer depends on who you talk to. For airlines, it is a good thing, letting them make passengers comfortable and improving the rate of repeat passengers. For passengers, it will likely improve the flight experience, yet some will feel uncomfortable with the level of information that airlines have. That said, the technology is already in place, and it is up to you to decide where you will draw that line and how you will spend your travel dollars in light of this new trend.